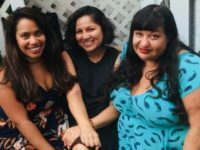 As the culture mavens of Only in Nohu, Javiera Rodriguez and Glenda Guevara of North Bergen, and Cindy Rodriguez of Guttenberg post photos and news bytes on art shows, live performances, boutiques and restaurants—in North Hudson’s Union City, Weehawken, West New York, Guttenberg and North Bergen. Javiera, Cindy and Glenda have always been hip to the culture scene blooming in their backyards. Javier is a jewelry artist, Cindy is a writer and podcaster, and Glenda works in publicity and marketing. So, when they discover something, up it goes on social media. Only in Nohu can be found on Facebook, Instagram and Twitter with thousands of followers who keep a look out for their posts on places to visit and pop-up happenings in North Hudson. Only in Nohu serves as a guide to events and trendy places to visit in North Hudson, places that sometimes end up in Hoboken and Jersey City’s shadow. 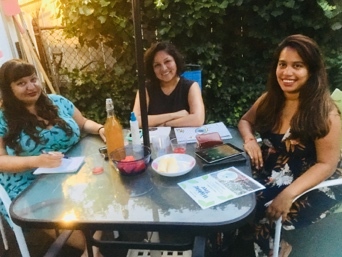 The women gather for a work session in Javiera’s North Bergen backyard, where a Tabby cat plays under a picnic table and the three friends and colleagues sip iced teas and munch on fruit, potato chips and pizza. The three friends pore over their laptops, tablets and cellphones as they prepare for an upcoming event they’re sponsoring. 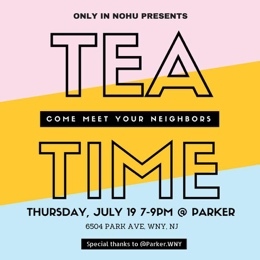 On Thursday, July 19, from 7-9 pm, they will be hosting TEA TIME, a ‘get to know your neighbor’ meet-and-greet at Parker, a cozy eatery on 65th & Park in West New York. Recently, Only in Nohu held a “Wishing Tree” happening in James J. Braddock Park in North Bergen, where people posted their wishes and hung them on trees near the soccer field parking lot. When they’re not hosting events, they’re posting them. 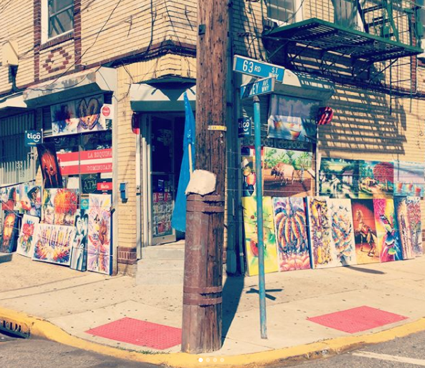 Since February, Only in Nohu has been posting photos and blurbs on local places of interest like the West New York Bodega on 63rd Street where artist Fermin Baret shows his work while selling groceries to local residents. “He paints right in his store in a corner in the back,” Glenda says. The women posted pics of the Bodega on social media and encouraged viewers to follow Baret on his Instagram page. Sometimes they’ll be on a stroll in the neighborhood and discover a business they’ve never seen before. 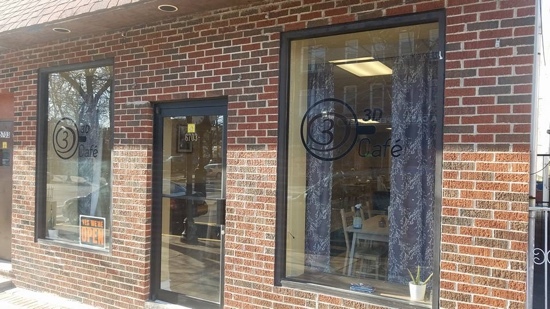 That was the case when Cindy was out taking pictures and came upon the 3d Café at 67th & Park in West New York; and when Javiera came upon Thought Bubble Comic Shop on 43rd & Kennedy Boulevard in North Bergen. Since Cindy, Glenda and Javiera live in North Hudson, they are always on the lookout for interesting places in their neighborhood. 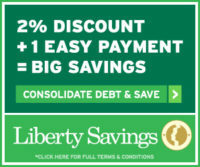 Sometimes, the small business owners they spotlight are surprised that Only in Nohu doesn’t charge for their postings.